Oh, will I or won’t I? For the sixth year in a row, I’m going to try to figure out something that can only vaguely be seen and perceived: the size and shape of the sales of books through the book store market, as seen through the prism of BookScan. “Direct Market” stores (also known as “your Local Comics Shop”) buy much of their material for resale from Diamond Comics Distributors (though, not, by any means, all – many DM stores are also buying from book distributors). DM stores seldom have Point-of-Sales (POS) systems (though this is rapidly changing!!! ), and, because we buy non-returnable, what we track is in our side of the industry is what sells-in to the store, not what sells-through to the eventual consumer. In a very real way, this means that the DM store owner is the actual customer of the publisher, as opposed to the end consumer. If you go over here you can find a copy of the 2008 BookScan Top 750 year end report for the comics category. For the last three years, what I’ve been given is the actual end-of-the-year total report, as opposed to 2003-2005 where I only had the report for the last week of the year. The effective difference for a casual chart reader is probably very little, but it does change some of the value in the percentage changes year-to-year. Please bear it in mind when comparing this year’s report to the previous ones – comparing 2008 to 2006-2007 is probably as close to apples-to-apples as it can get, as is 2003-to-2004-to-2005, but comparing the ’06-08 data to ’03-’05 isn’t going to be necessarily as valuable, and any analysis I can make of comparative growth is going to be off by some factor, possibly a significant one. The biggest and most obvious difference when doing straight comparisons will be in the lower ends of the chart. This year, the “worst selling” book in the Top 750 is about 4300 copies (it was ~4400 copies in ’07). In ’03-‘05 there would be 200 or more items that didn’t have YTD sales in that amount. Also of major note is that for both 2007 and 2008, I have the full and entire BookScan listing, down to books that have only one copy sold YTD. However, I’m not going to provide that entire list because that’s too much data, even for a data-junkie like myself. I’ve cut the list off at 750 items because that’s what we’ve reported in the previous five years. Still, I have the deeper data, and I’ll add a quick summary section for it a bit further down. Presuming I continue to get that much data going forward, I should be able to tell you a few things about “The Long Tail”. In 2008, I possess data on more than 17,500 items! We’ll talk more about this later. Frankly, I haven’t bothered to ask BookScan for a client list every year, so it is pretty likely that the number or percentage of reporting stores has increased significantly since 2003. However, I’m also going to continue to assume that the Publisher’s Weekly article is still accurate to the extent that these numbers are unreported by some potentially significant degree, and don’t, in any way, represent all “book stores” selling comic book material. There’s also a certain amount of miscategorization going on. As an example, every volume of the manga series Love Hina can be found in my full copy of the sales report, except for volume 2. In the Great Big Database there’s apparently an error and Love Hina volume 2 isn’t listed as a “graphic novel”. Conversely, a few prose books always sneak on to the list – Bloody Crown of Conan makes its sixth annual appearance as a not-comic. I do not know what the actual extent of miscategorization might be and how it would impact any of the general data analysis! Again, I want to stress that I’m doing my primary analysis on the Top 750 items: the reason for this is that is all that I was able to get in the first four years of this analysis, and otherwise the percentage changes I’m discussing will be even more wrong than they would be otherwise. Assuming I still get this information next year I may switch to a “full analysis” mode – having three consecutive years of it – but for the moment most of my attention is being paid to the top of the charts. In both 2007 and 2008 the Top 750 represents more than half of the total of the full list! While there are significant sales below the Top 750 (at least $98 million in 2008), the Top 750 probably represents the majority of items you’d be able to “easily” find on the shelf of a bookstore in America. The sum of the Top 750 in 2008 is down 2.9% in pieces from 2007 – down even a little from 2006 sales. (though the nearly 20% of growth in 2006 was almost certainly overstated because of the difference in reporting methodologies between 2005 and 2006. Read 2006’s report for more detail. My estimate was that it was probably closer to 10-12%) – dollars, however, were up by 6.5% in 2008. There’s a clear slowdown in the growth of the bookstore market in 2008, and a good chunk of these results come from the softening of the manga category (more on that in a bit) – the raise in dollars comes largely from higher priced books, and more Western-generated comics being sold. The open question here, however, is how much of this contraction in pieces comes from slowing consumer demand, and how much comes from cutbacks at stores like Borders, as they try to dig out of their financial hole? In other words, there were nearly 25% more books listed in the entirety of the 2008 BookScan chart than in 2007, and sales in pieces rose by 1%, with sales in dollars rising by just over 8%. Of course, one would hope that when one increases the number of SKUs (“Stock Keeping Units”, or, in normal English “number of titles”) that the number of pieces and dollars sold would increase in rough parity with your expanded SKUs. That it isn’t doing so would seem to suggest that there are more graphic novels and reprint collections being published than there is shelf space or customer dollars for. Further, the bottom of the chart seems to be increasing at a faster rate than the tops of the chart. I would certainly expect that trend to continue, if not accelerate, into 2009. 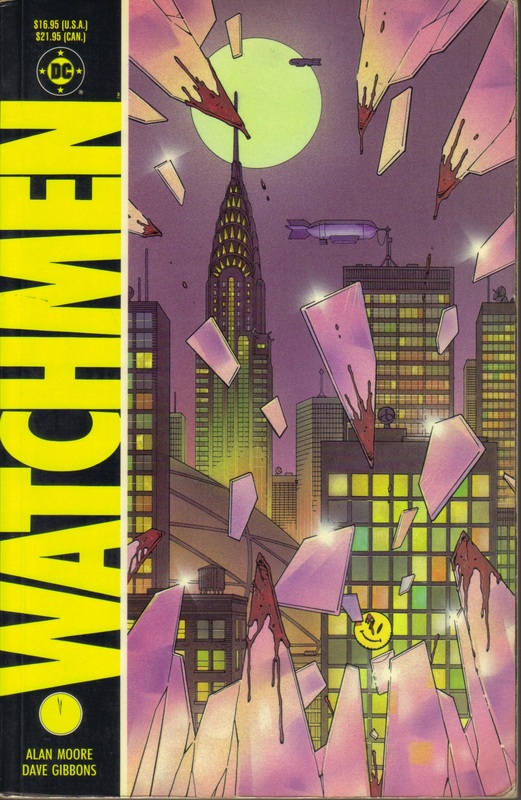 Watchmen’s success stretches through the Top 750, with the hardcover edition coming in at position #67 (for nearly 24k copies and another million dollars sold), and Watching the Watchmen coming in at #342 and nearly 8k sold. The Absolute Watchmen slipcased hardcover also sells nearly 4k copies into the book channel, at #854 on the chart. One can only imagine these numbers will be higher in 2009 once the movie and the DVD drops. The second best selling title of 2008 was Naruto v28 with nearly 104k sold. This is markedly up from 2007’s 80k copies sold of Naruto v13 (the best selling book in 2007), showing that my ability to read a future trend is murky at best. Last year I supposed that Naruto was beginning to wane, but this is clearly not the case. In fact, every single volume of Naruto (through v33) charted this year, for a grand total of nearly 971k copies sold, and $7.7 million. Naruto v1 sold about 36.5k copies, while the lowest selling volume (v12) sold about 12.5k copies. Still, the 27 volumes of Naruto combined sold 1.18 million copies in 2007, versus 971k over 33 volumes in 2008, so there is a weakening in there. At a pure guess, it would seem that bookstores are racking the first half-dozen or so volumes, and the most recent dozen or so, and not stocking the ones in the middle. In terms of gross dollars, obviously Watchmen’s $6.1 million is big winner, but there are two others: The Complete Persepolis ($1.3 million), and Batman: The Killing Joke ($1.1 million). The Watchmen HC comes close at $948k, but doesn’t quite make it. There were five “million dollar books” last year – none of those five repeated that trick this year. Last year’s #1 dollar book (Frank Miller’s 300) did under ten percent of the business it drove in 2007. It might be worth noting that eight books in the Top 750 are listed with Alan Moore as author. Collectively those eight books sold $9.3 million, or not that far from 10% of all of the dollars sold of the Top 750! If we assume that the article referenced above is correct, and that BookScan represents 65% of the sales through bookstores (and that might be significantly low), it might be surmised that the total dollar volume of comics in 2008 through bookstores might be around $267 million. 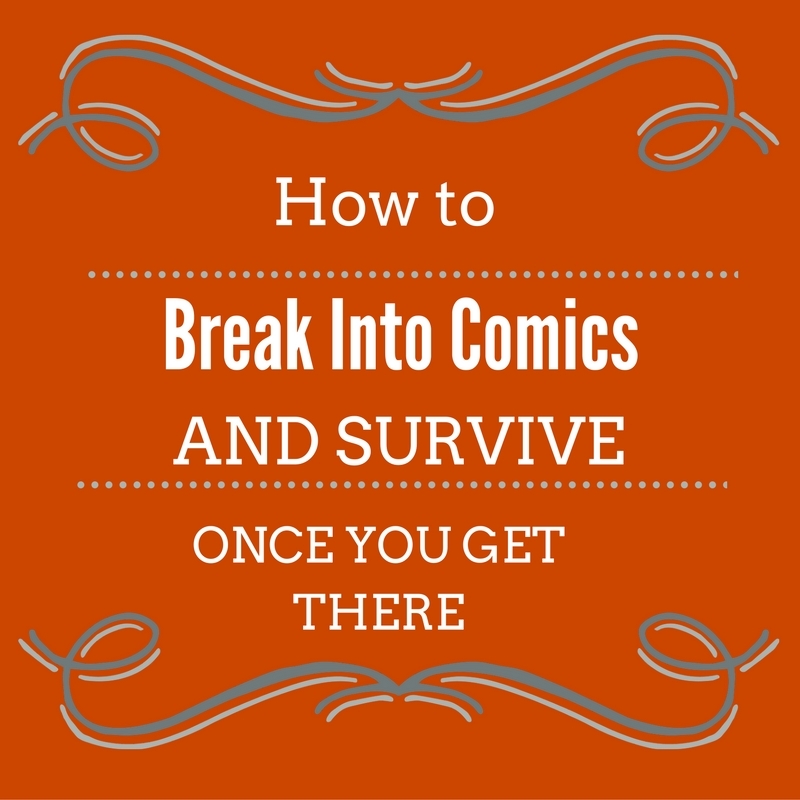 Historically, I’ve arbitrarily divvied the Top 750 list into one of five categories: Humor, Manga, DC, Marvel, and the ever-wonderful Everything Else. While such categorization is horrifically subjective, I did it so to try and track the distinctions between “traditional” bookstore material (e.g., humor books like Garfield, or Far Side); Direct Market-driven material (i.e., Marvel, DC, and most of the “Everything Else” group); and Manga. This year, however, I am bowing to the inevitable and giving up on the “humor” category, because it only came in at 4 items this year. It is virtually certain that this is because most of those kinds of items (typically strip collections like Calvin & Hobbes, etc.) have been recategorized to not appear on the charts I receive. I will now throw whatever comes into this category into the “Everything Else” section. That will throw the percentages off a bit, but I think it will make intent a good deal clearer. Once again, the largest section of titles, by far. In 2008, Manga continues to dominate with 514 spots (out of 750) on the charts for 5.6 million pieces, and $53 million in retail dollars. Just to get a little meta here, over the years several manga-related blogs copied out this section (and just this section) of the report. If you’re reading this in a report not on Comic Book Resources, I strongly urge you to go to the source link (JONAH: Put a link to the URL for this column [not the chart] here, please!) and read the preamble to this article – several facts about reporting methodology change from year to year, and may change your perception of the numbers! Despite still being the dominant “kind” of comic on the BookScan charts, manga is down substantially in 2008 – placing the lowest number of titles since 2004, and placing dollar and piece sales more in line with 2005. While average sales and average gross dollars are well over the average of the entire market, total pieces and total dollars sold dropped precipitously – this is despite (or perhaps because of) an escalating number of manga books hitting the market. So, the question is: why is manga declining overall? Obviously one key reason might be the overproduction of manga titles beyond the rack space that is available to them. If one has one hundred linear feet in which to display a category of items, and one hundred and fifty feet worth of books are made available, then clearly something has to give. There simply does not appear to be the physical room to display all of the comics produced each year. But this would appear to be as true for “Western” comics as it is for the “Eastern” manga. Yet manga appears to be suffering a far greater contraction. There are a couple of possible reasons. One contender might be that key buyers at the large bookstore chains are not (I think) the same people that they were in 2007. Different buyers are naturally going to bring a different emphasis. Another possibility is that the “rising tide” of cultural acceptance of comics-driven material has made “Western” comics more attractive to book buyers. “Western” comics generally have higher price points than manga. If one is looking at a bottom-line oriented analysis of dollars-per-square-foot, that $19.95 copy of Watchmen looks a lot more attractive than the $7.95 Naruto, presuming they’re selling an equivalent amount of copies from roughly the same amount of rack space. This is, of course, what pushed comics off of the “newsstand” – bottom-line oriented numbers crunchers say that a rack of sunglasses generated more dollars-per-square-foot than a rack of comics, so the comics went away. Further most (not all, but most) Manga is deep in the number-of-volumes per series. Naruto now has more than thirty-eight volumes in print, with many more to come. A bottom-line oriented look at what to stock and what not is going to say “Well, Naruto sells very well, but to stock it all takes something like seven linear feet – maybe we don’t need to stock this thing which is somewhat similar to Naruto, and also takes another four feet to display”. “Western” comics tend to be more self-contained, and, even in multi-volume series, taking up less rack space due to thinner volumes. I also think it may be possible that manga has begun to hit some of the audience truths that Western comics have known for a long time. Historically, for the periodical comic, it was generally understood that the younger portions of the audience were only onboard for, say, four to six years – they started reading comics at age eight, they continued until twelve or thirteen, then they discovered girls or sports or cars or drugs, or whatever, and they stopped reading comics altogether at that point. The modern Direct Market allowed the production of work that appealed thematically to adults, and brought people back to the form once they became of college age, keeping them as customers for another twenty years or more. What I suspect is possible is that some of the longest term readers of modern manga production may now be starting to “age out” of material aimed at younger readers, but have not made the jump (or found the properties that engage them) as older readers. Still, regardless of the return to 2005 levels of sales, 68% of the Top 750 are manga volumes. Manga represents 67% of pieces sold within the Top 750, and 52% of the dollars. It is still the clear category leader. Looking at the full list of 2008 titles, manga represents 65% of pieces sold, and just over half of the dollars sold, while being about 45% of the number of items tracked. The winner of the 2008, just as it was in 2006 and 2007, unquestionably is Naruto. With 33 volumes in print in 2007, Naruto racked up about 971k copies sold, for $7.7 million, or nearly 10% of all manga sold, and about 8% of the dollars. That’s a big percentage, either way you look at it. This, however, is down from 2007, where Naruto collectively sold 1.18 million copies over 27 volumes. Naruto, of course, isn’t the only success story in the manga category: Death Note, Fruits Basket, Warriors Manga, Pokemon, Vampire Knight, and Bleach all place into the Top 20 best-selling manga titles. As is typical, most of the time if a series charts into the Top 750, all volumes of that series chart there – of the 514 “manga” titles that I have identified, there are approximately 130 different properties represented. Again, the most popular titles appear to be squeezing the less popular titles from the racks. One thing I note this year is that several series that dominated in previous years (examples: Love Hina, Chobits, FLCL, Inu Yasha) have largely been pushed out of the Top 750 – some volumes are there, but no where near the volume of previous years. Breaking down the manga portion of the chart by publisher, Viz takes 300 of the 514 manga spots, making them the clear dominant player. Of the data set we’re looking at, Viz charted 3.7 million pieces, for just over $33 million – that’s down about 900k pieces and $6m from 2007. 58% of manga in the Top 750 is published by Viz, and they’re almost 45% of the number of pieces sold of the whole Top 750 (manga or not) – that’s a breathtaking performance. Viz’s mean “average” title within the Top 750 sold 12,497 copies per book. Their median title sold about 8200 copies. Viz’s strongest performers are (in rough order) Naruto, Death Note, Pokemon, Vampire Knight, and Bleach. 71% of the Top 100 Manga titles are one of those five properties. Viz also did well with Rosario+Vampire, Fullmetal Alchemist, and Absolute Boyfriend, all of which had a volume chart over 20k copies. Tokyopop is the #2 manga publisher, with 125 titles charting in the Top 750 –Tpop brings in 1.2 million pieces, $12.1 million retail dollars. They’re about a third of Viz’s size in the BookScan Top 750. Still that’s “one third of ginormous”, so there’s nothing to cry about there. Further, I’m led to understand that Tpop does really well with some of their titles (like High School Musical) in the school and book fair markets, neither of which, of course, are included here. Tpop’s strongest performers in the bookstore market are Fruits Basket, Warriors manga, Kingdom Hearts, Chibi Vampire, and Hack G U V. Tpop’s best seller in 2008 was Fruits Basket v19 with about 49k copies sold. Outside of the titles listed above they have nothing that sells over 20k. Their mean average is 9600 copies sold, while their median title did about 7200 copies. Coming in at #3 is Del Rey, with 62 books charting, for about 455k pieces and just a hair over $5 million retail dollars. Mean average of about 7300, median of about 6200. Their average numbers are up a bit from 2007, and they have at least three BookScan charting titles that aren’t manga: the Dresden Files HC (their 2nd best selling comic), the Essential Batman Encyclopedia, and the perennial not-comic Bloody Crown of Conan. Their best selling title in 2008 was the manga-ish adaptation of Dean Koontz’s In Odd We Trust, with 25,588 copies sold. #4 is Dark Horse, but they only place 12 manga books for 73,522 pieces and $892k retail. Mean average about 6100, median about 5200. Best seller was Blood+ v12 coming in at 11,212 copies sold. Six of the twelve Dark Horse books placing are Hellsing. No other manga publisher manages to place more than three titles in the manga category of the Top 750. DC’s CMX places none (ugh!) – someone needs to explain to me how/why CMX is still dropping a half-dozen or more books a month? The best selling of the remaining 15 titles (and the only one over 10k) is Vampire H v1 from Digital Manga Publishing at 12,081. Viz and Tokyopop combined represent 87.5% of the total number of pieces sold of manga in the Top 750 in 2008. This is down from 95% in 2007, but it is still incredibly lopsided – more lopsided, in fact, than the Marvel/DC hegemony in the Direct Market. 2008 was a banner year for DC, in the bookstores. They placed 71 titles in the Top 750, with total unit sales of 1,015,864, and $19,805,098 in retail dollar sales. DC more than doubled their performance in the bookstores in 2008. And while Watchmen accounts for a lot of that, as well as the trickle down impact of The Dark Knight in the theaters, it seems clear that their new bookstore partnership with Random House’s distribution has yielded amazing results for them. See, that’s how increasing your title count is supposed to work: with your pieces and dollars also rising as well. Even putting the Big Story of Watchmen aside, DC clearly had an excellent year, which shows the value of having a distribution partner who is excited about your product actively promoting it to their retailers. Ah, I can but dream, as a Direct Market retailer, of such a thing! DC also scores remarkably with various iterations of Batman – their second best-selling book of the year is The Killing Joke (with 62k copies), their third is Dark Knight Returns (40k copies), their fourth is slightly surprisingly The Long Halloween (32k), and their fifth is the brand-new (only one month of release!) Joker HC (28k). Batman: Year One (26k) and Arkham Asylum (18k) are also in the top 10 for DC books – now, clearly this is an impact of The Dark Knight being such a successful film, but this is a very rare time that we can actually see the impact of a film trickling down into multiple (and perhaps contradictorily) versions of a character. Certainly the first Christopher Nolan Batman movie didn’t move these kinds of numbers, nor did any of the Spider-Man films, so one might assume that it is down to Random House doing a good job of convincing bookstore buyers to stock these books. If you want an example of how I feel that distribution changes alone helped move DC books this year, I might point to V For Vendetta. In 2006, and with a film in theaters, and a DVD release as well, V For Vendetta sold some 80k copies through the BookScan reporting venues. In 2007, with that bounce gone, V sold “only” 19.5k copies. In 2008, it is back up (between two editions – you have to look down the charts a bit to find the just released “New Edition”) to just over 26k copies. Now, of course, some of that might be “Watchmen runoff”, so let’s find a better example. Ooh, here’s a really good one, one that you really really wouldn’t expect comics “civilians” to be interested in: Infinite Crisis. In 2007, BookScan tracked 9661 copies of Infinite Crisis selling. In 2008? Hang on to your hats: 13,329! DC’s second best seller in 2007 was the Heroes HC (25k). In 2008, that’s only about 9200, but they also moved about 12k of the softcover release. The volume 2 HC didn’t even make it to 10k, showing, I think, the bloom is off that particular media rose. Having said that, those still are all three within DC’s best-sellers for the year, so it’s nothing to scoff at either. Further, I’m thinking that most (if not all) of the creative costs for the work we paid for by someone in the television business, since these are all repackaged webcomics – with the probably safe assumption that licensing fees are cheaper than the creative costs, this could have still been been one of DC’s more profitable publications of 2008. In terms of dollars, DC has seven books that gross them over half-a-million dollars this year (they had three in 2007): Watchmen SC, The Killing Joke, Watchmen HC, Long Halloween, Dark Knight Returns, Absolute Sandman v3, and the Joker HC. That Sandman listing shows you exactly why they do those absolute editions. Looking at it by “imprint”, 29 of DC’s 70 placing titles are Vertigo (seven Sandman [including v3 of the Absolute HCs], seven Fables, all ten volumes of Y, the Last Man, and single entries with Pride of Baghdad, Preacher v1, and V For Vendetta (as noted, in two editions)). What we don’t see in the Top 750 BookScan numbers are things like DMZ or Scalped, where the running memes have been that the lack of periodical numbers in the Direct Market are being “made up” somehow in other channels. This does not appear to be the case! Wildstorm places seven titles, but none of them are “Wildstorm U” – The aforementioned Heroes, in three flavors, LOEG v1 & 2 and Black Dossier, and World of Warcraft is it. WoW, in particular looks a little depressing at just over 5k copies. With eleven million subscribers, you’d expect this to hit at least five digits. These titles tracking (especially, to me, 52 – this is a year after original release, remember) says that the oft-repeated line that the bookstore environment isn’t interested in superhero comics, especially ones tied to “continuity”, is demonstrably wrong. At the end of the day, 52 or Infinite Crisis, works that are the very definition of “insider baseball”, outsell substantial amounts of work aimed at a literary audience. Not one of the now-cancelled Minx titles makes the Top 750, nor do any of the strangely uncancelled CMX titles. Like I said last year, there’s a lot of conventional wisdom that suggests that things like the Minx and Vertigo books sell oodles and oodles better in the bookstore market than the do in the DM, but I have to tell you, now that I’m looking at a second year of the “full” BookScan list, I can guarantee you that this is simply false. Now that I can see into the Long Tail, what I can tell you is that, while the bookstore market can (and does) sell more copies of the “top” of the “bookstore-oriented” material, on anything else the DM beats them handily. Now, of course, the DM and BookScan accounts are not the grand total of all venues possible – there are also library sales, book clubs, academic sales, and probably another dozen channels that I’m not thinking of – it is entirely possible that these works could be doing gangbusters in those channels, and we’ll never have any way of knowing, but I can state, pretty unequivocally, when it comes to comparing the two primary retail sales channels, the DM is absolutely selling more copies of most Western-originated comics. It isn’t even close. The mean average DC title sold about 14k copies, while the median book was about 7k copies. DC has two titles this year that top 50k, and eight that top 20k. It is a back-track for Marvel in the bookstores for the Top 750 in 2008. They placed 38 titles for 303,639 units and $6.4 million dollars in retail dollars. A down year for Marvel in the bookstores, but, perhaps, that is to be expected without the freshness of a Dark Tower: The Gunslinger Born to buoy them this year, nor a wide success like Civil War. Those books both did well enough for Marvel this year (being titles #1 & 3 in sales), but neither was new in 2008, and neither generated the kind of big numbers they have to be wanting. For the number two position, it is Laurell K. Hamilton’s Anita Blake, Vampire Hunter: The First Death, a title so long that it truncates badly on the charts. This sells just over 17k copies. Two other Anita Blake hardcover volumes chart in Marvel’s Top Twenty – volume 2 of Guilty Pleasures with just over 10k, and v1 of Guilty Pleasures for about 7400 copies (down from about 22k in 2007). The softcover of v1 of Guilty Pleasures shows deeper in the Long Tail with about 3600 copies sold. That latter surprises me a little: I had thought that, traditionally, once a cheaper paperback was printed, hardcover sales would go away, but that did not seem to be the case with this one. Coming in third is Civil War, and is Marvel’s first superhero title placing, with a bit over 15k copies sold. In 2007 it sold some 33k copies through the BookScan reporters. Four other Civil War related titles (Road to…, Iron Man, Amazing Spider-Man, and Captain America) also make the charts. In the fourth position for Marvel is the second hardcover for Marvel Zombies (nearly 13k) – Marvel Zombies seems to be working for Marvel in the bookstore channel, as all four hardcovers are in their top twelve best-sellers. Even the Marvel Zombies/Army of Darkness one, which I can’t barely give away in my store. Finally at number five, we get our first appearance of Iron Man, in the form of Marvel Adventures: Iron Man v1 (about 12.5k). Before you read any “holy cow, kids comics can really sell!” message into that, I want to observe that this is more a function of availability than anything else. The book I personally would have promoted to coming-from-the-theater-to-read-more crowd would be the “updated” origin in Iron Man: Extremis – but that title spent the majority of the year out of print. For that matter, Essential Iron Man v1 was OP for a chunk of the year (though I find that “civilians” absolute expect movie-based properties to be in color) The next closest-in-tone book “to the movie” really is Marvel Adventures: Iron Man, so that’s what people bought. Ultimate Iron Man is completely contradictory to the film, so even Orson Scott Card’s name on it didn’t help it sell many copies as reported by BookScan – those are way down deep in the Long Tail selling under 2700 copies each. Reprint books reprinting 1970s/80s storylines (Demon in a Bottle, Armor Wars, Many Armors of Iron Man, Iron Man versus Dr. Doom, and so on) are well regarded stories within comics, but generally overpriced for the casual reader, typically coming in at $24.99. Most of the rest of the Iron Man backlist are minor Iron Man stories at best, so given that the only full-sized color TP closest in tone to the film was pretty much unavailable for most of the year, its really no surprise that movie fans turned to the “kids” book. Extremis does chart with under 6k copies, but had it been fully available, I would have expected them to shift 25k or more of them. All in all, a bare five Iron Man related titles make the BookScan Top 750. The other Marvel property with a film this year was The Hulk, and World War Hulk is there in Marvel’s Top T0en with about 12k copies. Three other Hulk projects make it into the BookScan Top 750, but none of the rest even make 8200 copies. At the end of the day, that’s a pretty insignificant bounce from either film. One of the Hulk titles is the first volume of Marvel Adventures Hulk for just over 5k copies. One thing that I find interesting about Marvel’s placing titles this year is that twenty of the thirty-eight books are hardcovers. On DC’s side that was fourteen of seventy titles. Without a movie to bolster things, Spider-Man effectively vanishes from the charts – other than the above noted Civil War Spidey tie-in, there’s just a single entry from Ultimate Spider-Man (v19, with about 6600 copies) – that’s a big drop in general for the Ultimate line, with the other three placing Ultimate books generally doing under 5k each. As an “entry point” Ultimate titles seem to have lost their cachet (which is unsurprising when you approach twenty volumes of the anchor title) – there are no other Spider-Man titles listed in the Top 750 whatsoever. Another thing worth noting: not one of the Marvel Illustrated line of adaptations of classic literary work places until deep deep into the Long Tail – the best selling one doesn’t even manage to shift 500 copies. One presumes that in the school and library markets those books might be moving at a decent clip, but when it comes to retail sales, there’s no market interest whatsoever that we can detect. All-in-all, Marvel’s core superhero product seems to be largely unloved in the bookstore market to me in 2008 – if anything you could come up with most of the numbers they seem to hit probably primarily from Amazon sales from “Direct Market customers without a Direct Market store”. I think it is reasonable to say that Marvel needs to closely reexamine their backlist, both from what they have in stock (and when! ), as well as how they’re trying to position it within the Bookstore market. What these numbers seem to be saying to me is that in 2008, Marvel became even more of a Direct Market-oriented publisher than they have before, and that any other market is, at best, an after-thought. The median average of a Marvel book on this years chart is 7991 copies, and the mean is 6900. Marvel has no books over 50k, and only one over 20k, and without Stephen King, they wouldn’t even have that much. As I mentioned more towards the top of this piece, I’ve given up the pretense of keeping Humor as a separate category that we’re looking at. Calvin & Hobbes and other classic strip collections seem to have been moved entirely away from the numbers that I’ve been receiving the last two years. Presumably we could still add another at least $8-10 million in sales to “comics” as a category (or, at least, insomuch as the percentage of sales that BookScan reports represents that category accurately. Which, like I said, it probably doesn’t), if those numbers were included as well. Before y2k, “Humor” was the comics chart, taking much of the top spaces in dollars and in pieces. This material may still be selling as well as it ever did, or it may not, but what I don’t have is access to the overwhelming majority of those datapoints any longer. So this year I’m going to perform some pretty ugly surgery on the historical record, and simply move forward from here on out as though they had never been separated before. 127 items are “not Manga, DC or Marvel”, and combined they sell a smidge under 14 million copies, for over $22 million in sales, in 2008. Thus, the best performance in six years of imperfect data. I think this, more than anything else, shows the growing overall cultural acceptance of comics as a medium than any other thing we could point to. As a very general rule this is where you’re finding work that isn’t generated solely to product or exploit a trademark, or to raid a vast foreign library of already created works. Sure, there’s some of that here in this section, but the majority really is work that was created to be “comics for comics sake”. Well, or at very least, that’s what the Top ten looks like. The best selling book in this batch is The Complete Persepolis with nearly 54k copies sold. That’s high enough sales to make this edition the eighth best selling comic of 2008 of any genre as reported by BookScan. There’s also the two component parts of this edition: v1 “Story of a Childhood” and v2 “Story of a Return” which sell about 42k and 13k respectively. Altogether, that’s 109k copies sold of Marjane Satrapi’s story that BookScan tracked as sold in 2008. That’s twice what it shifted in 2007. I continue to find the difference between v1 and v2 of Persepolis to be odd behavior – purchased separately, v2 does only about one third of v1. This is consistent behavior from previous years as well, and I just do not understand it. Is it that many venues are only stocking v1, or is it that consumers read v1 and think “that’s enough”, or is it that there’s not enough awareness that there is a v2 in the first place? One always expects a drop between volumes, but a two-thirds drop is statistically strange. We see similar behavior on Maus, which we’ll discuss more in a minute. I just don’t get it. Either way, the complete version of Persepolis moves $1.3 million dollars worth of books, keeping it in a rare and stratified crowd. Persepolis had a film version released on Christmas day of 2007, and we would typically presume that much of the bounce for the comic came from the film. Curiously, though, the film only grossed $4.4 million domestically. Between the complete and “incomplete” versions, Persepolis the comic shows $2.05 million in sales via BookScan. Adding in non-BookScan sources, one imagines that the comic in 2008 may have grossed as much, or more, than the film did during its domestic theatrical release. I suspect that this is one of the very few times that this could be true. The second best-selling comic in this section is Jeff Smith’s Bone. V1 “Out of Boneville” moves over 49k copies via BookScan reporters; making it the Eleventh best-selling comic overall in BookScan 2008. What’s more is that all eight volumes released to that point chart, and even the “worst selling” (v6, “Old Man’s Cave”) still shifts nearly 25k copies. Bone is nothing short of a phenomenon in the bookstores, and my understanding is that retail sales are but a fraction of what Bone ends up selling through schools and book fairs. All told, Bone takes six of the Top Ten spots in this section, and shifts 266k copies of the color editions. Jeff also manages to sell nearly 13k of the complete black & white Bone One Edition. Those are crazy good numbers for the color collections, and they are up dramatically from 2007 sales where they had 6 volumes collectively sell 161k copies. The next best-selling title that isn’t Bone or Persepolis is art spiegelman’s Maus. The first paperback sells nearly 30k copies, up 50% from last year. This is enough to place it as the seventh best-selling title in this section. V2 sells about 18k (also up about 50% from 2007), again leaving me to wonder where that 40% of the audience went between volumes. The boxed set of the two paperbacks sells a bit over 11k, about where it was last year, and the Complete Maus hardcover moves nearly 7k copies, more than twice last year’s sales. Finally, the end of the Top Ten is brought up by Mark Millar’s Wanted, with over 25k reported sold by BookScan. Obviously the movie had a little something to do with that. Last year’s number one book was Frank Miller’s 300, and it sold about 72k copies in 2007. In 2008 that drops back to barely over 6k. That’s a pretty severe drop – even in 2006 it sold over 22k copies. It is probably worth noting that all ten Babymouse volumes chart within the Top 750. While not quite as huge as Bone, this is another very solid success with juvenile readers. Other things worth calling out with sales over 10k copies include three Star Wars books from Dark Horse (The Force Unleashed with 17k, and two Clone Wars Adventures volumes at 12k for v1 and 10k for v2 – considering how well we’re doing at my store with Clone Wars Adventures, this seems really low for the bookstores), two Transformers Animated volumes from IDW (v1 is 13k, v2 is 11k), and Indiana Jones & the Kingdom of the Crystal Skull (12k). For original material, there is Lynda Barry’s What It Is (13k), Alison Bechdel’s Fun Home (12k), and Kazu Kibuishi’s Amulet (11k) All solid performers. Scholastic’s Graphix imprint continues to do well with things that aren’t Bone – Goosebumps lands three placing titles as does Babysitter’s Club and Magic Pickle. They’re joined by a single volume of Knights of the Lunch Table. Again, I imagine these do much better to schools and libraries and book fairs as well. IDW has seven books placing this year: The two Transformers that were mentioned before, nearly 5k copies each of the first 30 Days of Night and Richard Matheson’s I Am Legend, both hardcovers of the “season six” Angel, and almost 8k copies of Presidential Material, the flipbook biographies of John McCain and Barack Obama. In terms of “art comics” or “literary comics”, we can see these items: American Born Chinese (just under 10k), Black Hole (8800), Best American Comics 2008 (7400), Johnny, The Homicidal Maniac (7200), Squee (5200), Blankets (5k) and Shortcomings (4300) – nothing else makes the Top 750. 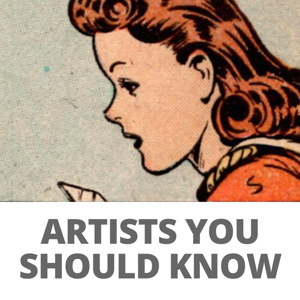 It isn’t that books by Clowes or Hernandez or Tomine or Crumb or Bagge don’t chart, they do, but deep deep in the long tail. Generally speaking none of these author’s books (or “other books” in the case of Tomine) has BookScan tracked sales of over 1000 copies, and usually it is much less than 500. I understand the argument that the BookScan numbers don’t represent everything, most things or, maybe, even more than some things, but there has to be a certain amount of proportionality that is accepted. If we can show Fun Home selling 12k this year and What It Is selling 13k and Persepolis selling 109k combined, then the proportionality of Love & Rockets New Stories #1 only showing 719 copies via BookScan should probably be taken at face value. It is, of course, entirely possible that the are a small handful of single bookstores that don’t report to BookScan that are selling wildly greater numbers in such a way that maybe BookScan is under-reporting proportional numbers by 50% or more. Certainly, even in the Direct Market, a store like my own completely destroys any national bell-curve of sales on that. But in the absence of actual public and non-anecdotal evidence, I think we’re forced to conclude that outside of, maybe, 20-30 titles, “art comics” simply don’t sell in any appreciable number outside of, perhaps, the very few stores that choose to specialize that way. Some last few notes on the “everything else” category: Watching the Watchmen, Titan Books’ book on the making of the comic, comes in at 7756 copies – this is higher than I would have thought, actually, consider how poor its sell-through has been here at Comix Experience. For the first time that I can remember, Archie makes the Top 750. With Sonic comics both times, but 7k and 5300 is nothing to sneeze at. Mouse Guard moves almost 6200 copies with its new publisher, Random House imprint Villard. ASP sold 8400 copies of the HC in 2007. Kind of similar-to-Mouse–Guard title Redwall sells 16 more copies than Mouse Guard. Also kind of similar Mice Templar only manages to sell 251 copies for the year. Image needs a better sales manager in the bookstore market! The P. Craig Russell adaptation of Coraline sells about 6k copies. That could explode in 2009, or it could be eclipsed by the straight prose version. Willie & Joe: The WW2 Years by Bill Maudlin from Fantagraphics sells 5485 copies. The sum of all of the books by any Hernandez brother combined is 5829 copies. Go figure. In the “Out of Nowhere” category, I’d place Christine Feehan’s Dark Hunger (5345) and Shannon Hale’s Rapunzel’s Revenge (5238). Sixteen “everything else” books sold over 20k. One sold over 50k. And that’s pretty much what BookScan in 2007 looks like to these eyes.